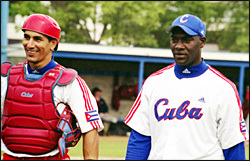 Welcome to the Cubancards.com Photo Store! 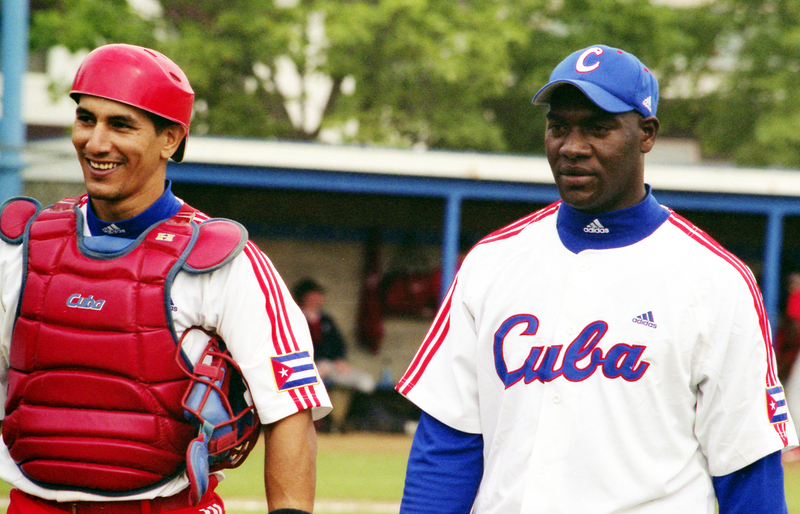 Here you can purchase exclusive images of you favorite Cuban baseball stars at our online store. Click on any photo to see an enlargement. Order 8 x 10 or 5 x 7 custom prints. $17.50 USD for each 5 x 7 custom print. You can also fill out our PDF form to mail in your order. Please Note: Photo image cropping and color rendering of actual prints may be different than website images. All photos are high quality custom prints. Mailing time is 2-4 weeks. Shipping and handling: $7.50 USD per order (10 prints max.). Add $1.00 per each additional print. Download this complimentary digital image for your own non-commercial use. Copyright 2004-2015 Garcia Photo Limited. dial-up customers a while to download.